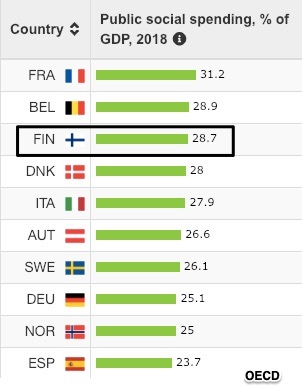 In a government social spending list, Finland is in the top five. Now, they are trying to figure out how to do a better job. 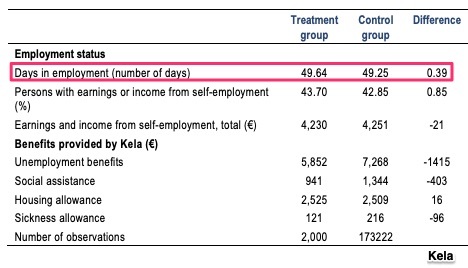 Finland just completed a two-year guaranteed income experiment. Its goals were to increase the work incentive, decrease bureaucracy, and gauge the change in well-being. The participants–2000 randomly selected unemployed individuals, aged 25 to 58 years old–received a monthly stipend of €560 ($635). If they found a job, their income subsidy would continue. There were 5000 people in the control group. Last week, the preliminary results for the first year (2017) were published. 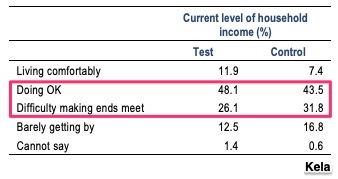 Somewhat surprisingly, the incentive to work appeared unaffected by unconditional income. However, people were happier. The two groups though start to differ when you look at their well-being. 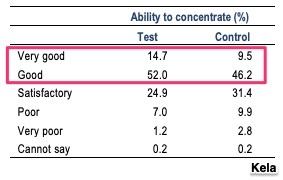 Similarly, the people in the treatment group said they had better health, less stress, and better concentration than their control group peers. A guaranteed income has advocates on the right and the left. Its conservative supporters believe a check from the government can eliminate a long list of social programs. It elevates individual freedom by letting recipients make their own spending decisions. Meanwhile, the left sees an unconditional helping hand that a society owes to everyone, especially if technology exacerbates unemployment. I suspect that the Finnish experiment was supposed to help all who support the guaranteed income. If a guaranteed income generated more workers, its immense cost becomes more palatable. But so far, the Finnish results don’t provide that nudge. Instead it has some unintended consequences. My sources and more: Thanks to the NY Times and Vox for alerting me to the completion of the Finnish experiment. As did I, you might want to read this summary and the preliminary report. 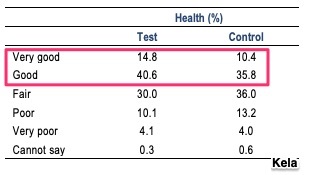 It was also interesting that an OECD analysis emphasized the cost. Finally, the OECD had a recent report on social spending and here is a union leader’s opinion in an Australian radio podcast.